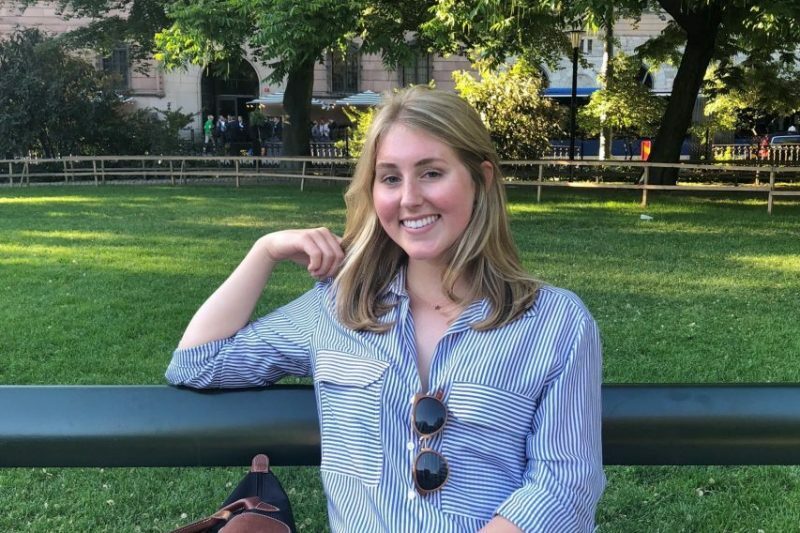 Sustainability in Stockholm During a four-week internship with Enact Sustainable Strategies in Stockholm, Julia Carullo '20 has been inspired by Sweden's dedication to sustainability in business practices. Carullo takes a break on a park bench after work one day in Stockholm. I became involved with Enact Sustainable Strategies through a Corporate Social Responsibility (CSR) course in practicum that took place abroad in Copenhagen, Denmark, this spring. My team had the honor of working on a project for Enact and created a comprehensive report on the United Nations Sustainable Development Goals (SDGs) in which we analyze various company case studies. When this was complete, I took the opportunity to travel to Stockholm and work hands-on with Enact for four weeks. It’s difficult to fully explain how much these past weeks have meant to me, both professionally and personally. The people I have worked with at Enact are incredible – truly motivated in their work, engaging, humorous and so welcoming. I have felt comfortable asking questions and have loved our daily lunch together. Involvement in my university consulting organization has given me a sense of client-facing work (proposals, phasing research, final deliverables), but being in the office under the mentorship of consulting professionals has allowed me to experience the true challenges and excitement that occur in this field. It’s been especially important for me to be involved in advisory projects related to sustainable business practice. I have analyzed elements of sustainability reports, completed horizon-scanning research, created graphs out of stakeholder dialogue surveys, and attended seminars on the SDGs and human rights. From my perspective, and in my opinion, not many American students have the opportunity to immediately work with sustainability topics. It’s clear that the Nordic region is much further along in its sustainable journey than the United States. The general awareness of the impact business can have in furthering world progress on the UN SDGs, for example, is not discussed in my academic community, outside of the CSR courses. I think that hits the nail on the head – CSR, sustainability, human rights are all buzzwords that lie outside of mainstream strategic planning in American business. Our businesses incorporate sustainable initiatives, but they often lack meaningful value because the focus is on advertisement, favor with consumers, and ultimate financial success. 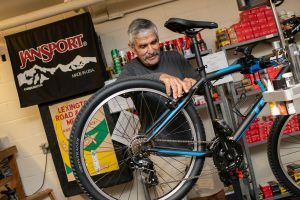 Enact’s clients, on the other hand, seem to truly want to make a difference throughout their value chains and the communities in which they operate. Maybe sustainable business is more authentic in Sweden, for example, because Swedish consumers and citizens demand it through purchasing patterns and in their government initiatives. And maybe American business will trend toward sustainability when our consumers use their purchasing power to also demand a respect for the environment and workers in the products and services bought. Going forward, I hope to make changes in my own purchasing patterns and to bring about discussion on sustainability in my social circles and academic classes. I hope to incorporate sustainability reporting into my accounting studies and future career and continue to be involved with CSR, human rights and responsible business in this way. 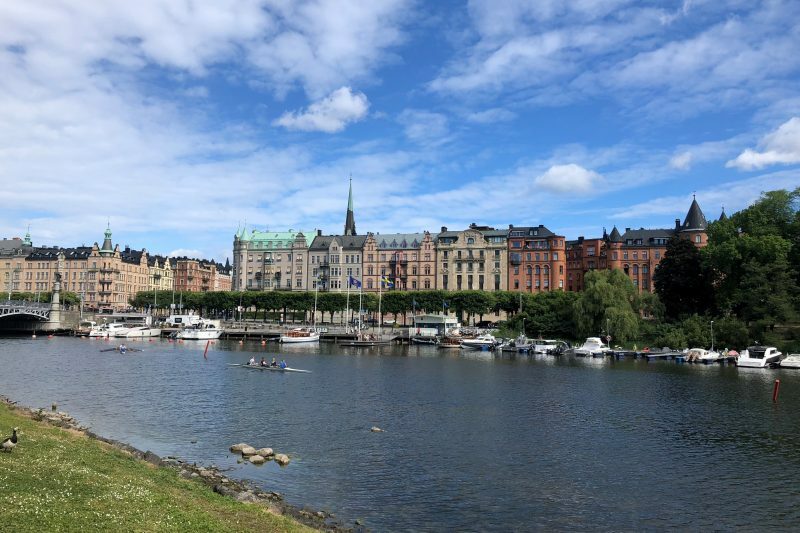 I look forward to staying in touch with my co-workers at Enact as they succeed in driving sustainability initiatives throughout the world, and I can’t wait to visit Stockholm again, where I know I’ll leave a piece of my heart. One of Carullo’s favorite views in Stockholm.